It was Nicole that took the initiative to get the Chopped thing going. She had seen that they were casting again and went ahead and started the contact/application process while her husband was away on business. Before she even had chance to tell him about the submission, he was already contacted by the Chopped casting team. We had the pleasure of interviewing Johnny way back in February of 2010 on our 14th episode of the HotSauceWeekly.com podcast. Listen in to learn how Johnny got started, and how much research he did to launch Heartbreaking Dawns. Also, both Johnny and Nicole joined us in September of 2010 on HotSauceWeekly #28 as they were launching their grilling sauces. Marilyn and I are proud to call Johnny and Nicole good friends and we are excited for Johnny and his upcoming appearance on Chopped. You can read even more about Johnny and Nicole and their unique Heartbreaking Dawns’ history and philosophy in this official OnlinePRnews.com article. It’s not your usual boring press release… there is a lot of info there folks. I’ll be cheering for Johnny!! Of course we will too! And Johnny’s never let on how thing will turn out. There will be nail biting! I usually don’t watch Chopped but will tune in for this episode, thanks for the heads up. 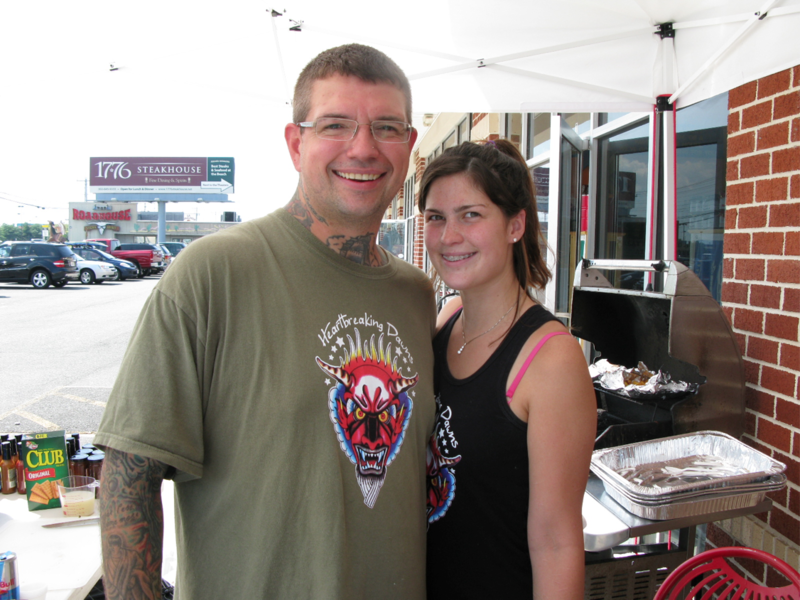 I saw Johnny on ‘Chopped’ last night and rooted for him well, because we share the same name! 🙂 I also will visit the Heartbreaking Dawn website to place an order as I’m also a big fan/hobbyist of grilling, smokin’ and hot sauce!! hope to meet the ‘professional’ Johnny McLaughlin someday….good luck to all your future endeavors! Way to go Johnny! Nice job on Chopped! 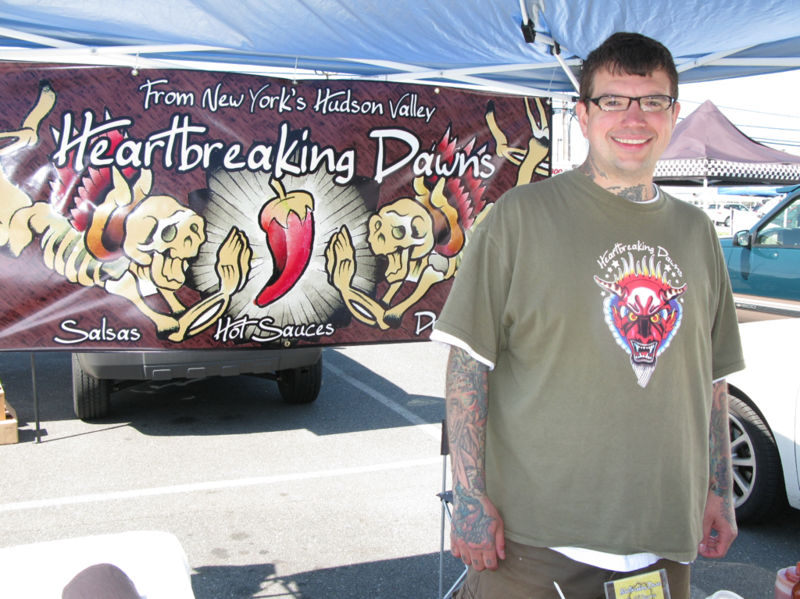 We were one of the first on-line sites to carry Hearbreaking Dawns sauces. 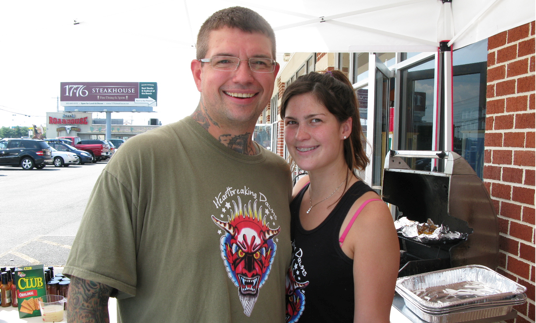 Johnny and Nicole did a tasting at our retail store. They are both great and a lot of fun. Everybody at Armadillo Pepper wishes them the very best!